There is something about articles formated in a list format that begin with numbers – people just seem to effortlessly consume, like, read and share them more. Publishing and Media companies have capitalised on the list format for decades, if not the last century. Reader’s Digest, Men’s Health, Cosmopolitan, and other magazines were publishing ‘list-articles’ way back, before the internet was even around. Even the Bible’s ’10 Commandments’ are a list. Buzzfeed has proved that the Listicle List-article format works in a digital and mobile context. Which in a way is a testament to the fact that we (or more specifically millennials) have shorter attention spans, love to skim through articles and like the idea of images or gifs to support key points. the lowest version of the artform. By lowest I don’t mean bad… something that’s literally just an arbitrary grouping of things… [like] 11 Songs We’re Listening To Right Now…Things where there’s no narrative that’s driving it. This list article format digs a little further by providing exhaustive coverage on a specific topic. As compared to the listicle format, a Definitive list article will take a lot more time to research with the number of points tending to be double digits and most likely rounded numbers like 20, 30, or even 50. 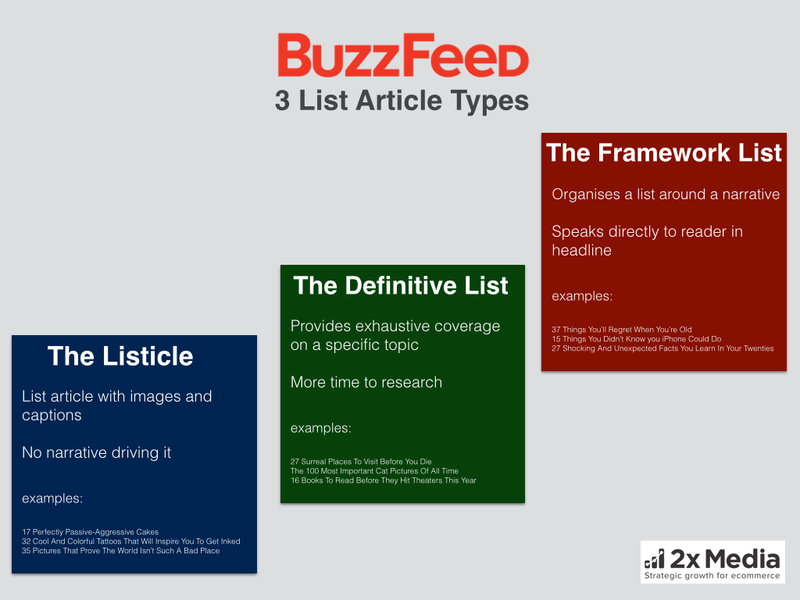 The Framework list which is BuzzFeed’s most important kind of list-article format organises a list around a specific story or narrative in a way that the list number merely organises and adds structure to the story. In this case, an interesting noteworthy story is thought-out first and then a list is extrapolated from the story. The list length has to do more with the key points in the story rather than second-guessing the ideal list number. 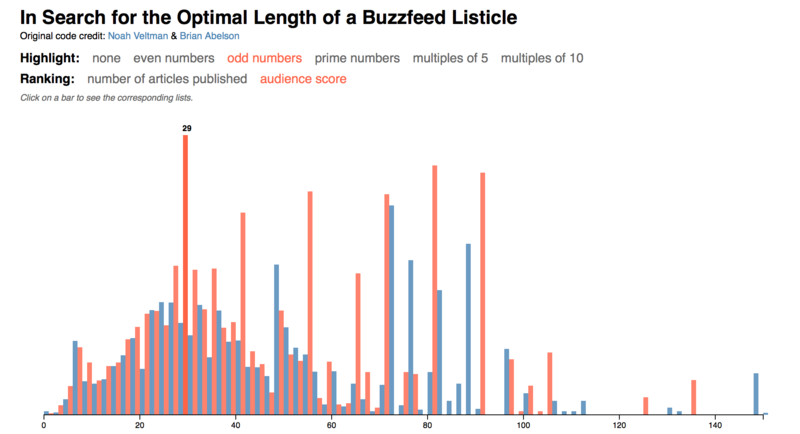 Research from data scientist, Gilad Lotan points to suggest odd-length Buzzfeed listicles perform better than even ones; and that 29 seems to be the winning number for the length of your list articles. Odd-number length listicles highlighted in red below had significantly higher engagement compared to even number with 29 garnering the highest engagement. I will say that specific numbers do not necessarily matter but double digits and odd numbers seem to be attention grabbers. Buzzfeed’s most important list-article format – the framework list, uses arbitrary lengths with focus on the core story. When writing Listicles articles in the context of eCommerce, the articles should be image driven and easy to put together ideas. Remember that image curation is key with the listicle format and that each point on the list should link to a product page with all the information required. 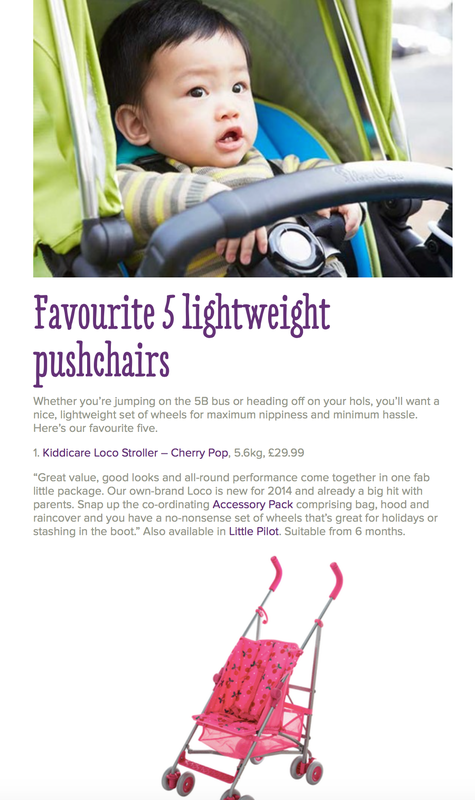 Here are examples of Listicles from Kiddicare, Huckberry, Bonobos and Zappos. Men’s clothing retailer Huckberry – run a weekly pocket dump series that fits into a listicle format. They curate photos of their favorite men’s products in collaboration with the Everyday Carry blog and link to each curated item. Regardless of whether the sell the item or not, they’ll boldly place a link to where each item can be purchased. This is a perfect eCommerce listicle example. 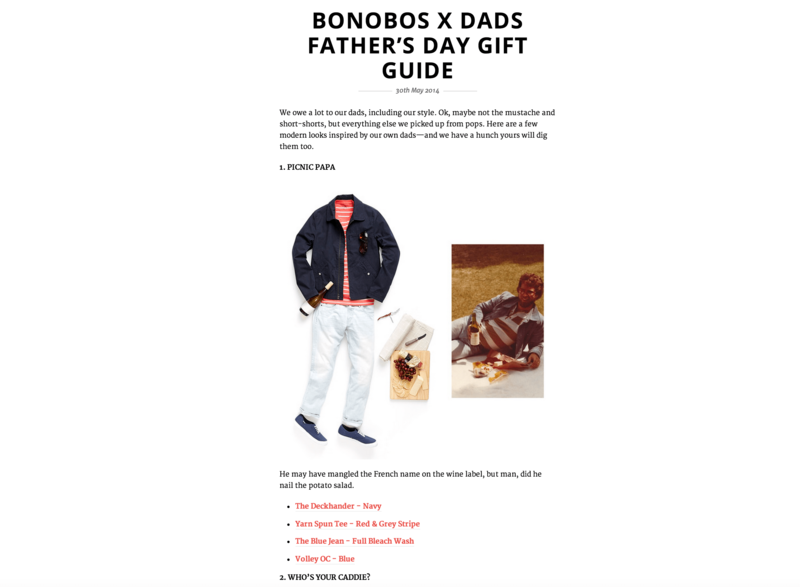 This Father’s Day gift guide by men’s fashion retailer – Bonobos is a great example of an eCommerce Listicle. 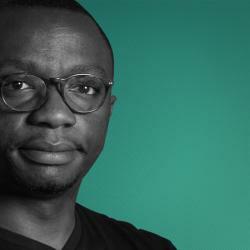 There is a lookbook photo with reference links that take visitors to where each item can be purchased on the Bonobos site. I do still prefer the transparency of Huckberry, who would link to competitors. This is a look book listicle format blog post consisting of photographs of black and white dress ideas, all of which can be found on Zappos.com. There is a handy list of links to the product pages of each of the dresses for their customers to reference. 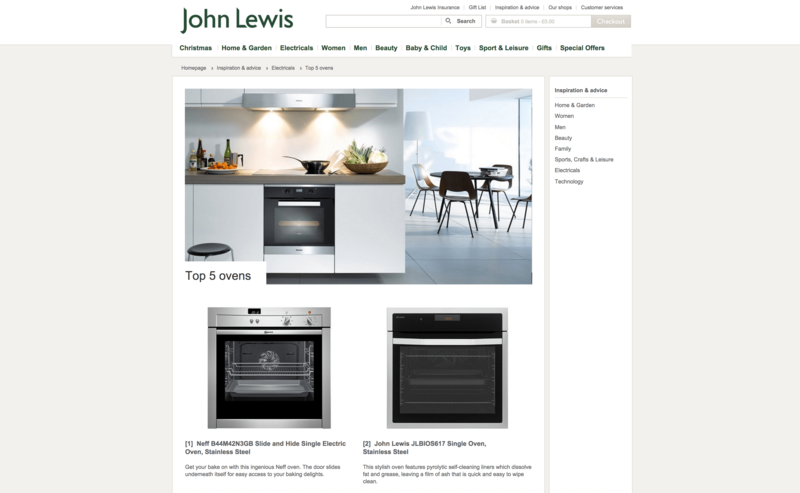 A curated list of John Lewis’ top 5 ovens with brief descriptions and links to their product pages. Note that this does not sits in their ‘Inspiration and Advice‘ section which is their synonym for a blog. The definitive list requires a bit more research and digging. Each point on the list should wherever possible showcase a supporting image. Content does not necessarily need to tie in with your product pages. They could tie in with concepts and experiences related to your brand and products. Think like a publisher when coming up with definitive lists. 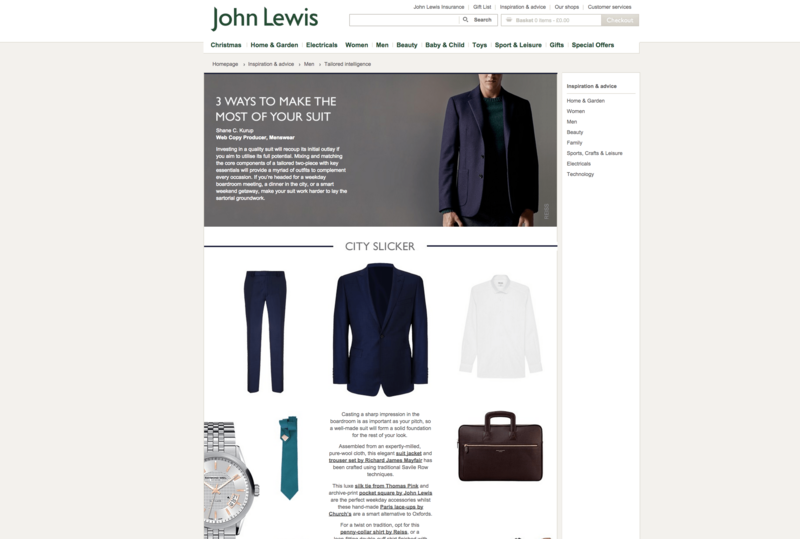 Here are examples from Netflix, Bonobos and John Lewis. Ebuyer do good job with this definitive list of top Netflix Dramas and Comedies. Although it could do a bit more images, a bit of research went into putting the list together with a decent amount of supporting text for each show on their list. Bonobos do an excellent job in this definitive guide about places every guy should visit. It is part of their “All-Season 8” series in their Equateur online magazine. This is another “All-Season 8” guide: The Food Every Guy Should Know How to Cook. This men’s fashion guide serves as a definitive guide to help men make the most out of the use of an expensive suit jacket in 3 different occassions. There is some narrative for each occasion, along with links to product pages for items mentioned. Given that the Framework list format tends to be BuzzFeed’s most important kind of list-article, eCommerce content marketers should pay special attention to its construct. The core principle is that you address your readers in your headline in 2nd person singular and that centre your list around a narrative or solution to a problem in a way that the final number you arrive at only adds structure to the core message. 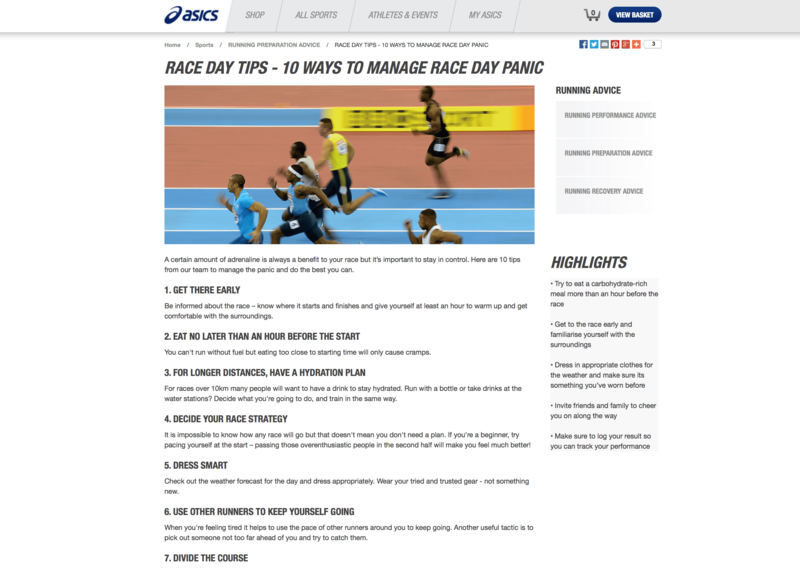 This is example from Asics address race day anxiety common amongst runners. Reading the article, you feel spoken to by a coach or by a fellow runner. If it was to be written by BuzzFeed, expect to see humorous and inspirational photos accompany each point. This example is from Indochino, a menswear retailer that speaks to it’s audience as to how they can create a masculine living space. Each of the 5 steps has a full bodied description as well as supporting photographs. It reads as quite a serious piece. This example from NotOntheHighStreet.com addresses alternative decoration of Christmas trees. It is very visual but the image captions could do with being bolder looking sub-headings. My final example is directly from BuzzFeed’s Brand Partners – although it is not a Framework List post, it is worth noting that most Brand Partner posts created by BuzzFeed for brands are in the form of the Listicles format. I hope this guide inspires your content marketing efforts for your online retail business. Do you have any questions or any additional tips to share? If yes, please leave them in the comments below.